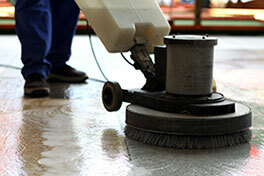 Get access to a variety of cleaning tips for all types of carpets. Check out the list below. Wouldn't it be nice if you knew what to do when carpets get stained or parts of your rugs are wet? 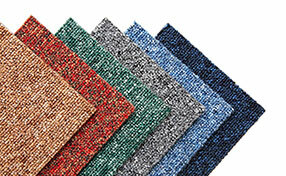 Here you can find excellent tips on ways to take care of your carpets and deal with similar problems. Check out some smart suggestions and carpet cleaning solutions and get ready to enjoy carpets free of bacteria. If you are interested in smart carpet cleaning and stain removal ideas, check out the following tips. Most of us dive nose deep into cleaning carpets without actually preparing for it. A little bit of planning goes a long way in making the task easier and faster. First move all the furniture to the centre of the room. It's always a good idea to start from the perimeter and then move on to the center. Ideally all furniture should be removed and then put back in place once the carpet is fully dry. Over time we need to re-evaluate carpet cleaning techniques to ascertain if they are just as effective as they used to be. Experts at Carpet Cleaning Alameda list out a few common mistakes that can be easily avoided. First do not over-wet the carpet and it wouldn't help if you were to run the vacuum cleaner over heavily soiled areas more than a couple of times. If you need to clean again then allow the area to dry before re-cleaning them. If there is a bad odor in the house, check the carpets. Pet urine and food stains smell bad. Mold emits the worse odor and is also an indication that part of your carpet has been wet for quite some time. 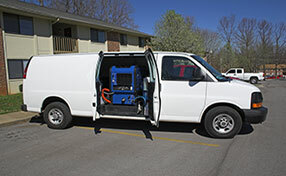 Mildew inspection should be your first priority according to our experts. You can remove some odors by spreading some baking soda on the carpet. Leave it overnight and vacuum the following day. This is logical, but many people seem to miss this point when they get down to housekeeping. When you clean furniture, some of the dust from hard surfaces will inevitably end up on the floor. That is why it is best to start from the highest point and go down. If you have a rug over a wooden floor, you may want to remove it and clean it separately. This is a valuable rule to follow especially with big stains. The technique prevents the stain from spreading to a larger area of the carpet. Remember to use a white kitchen towel as it has excellent absorbency and does not pose the risk of color transfer. Additionally, you should dab the paper very gently and not press it against the carpet.